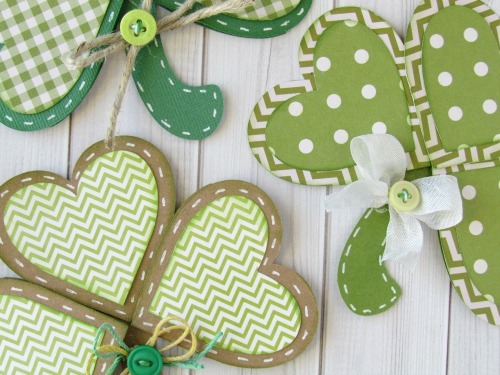 Cards Archives - Page 52 of 60 - Pebbles, Inc.
Holly here sharing with you Lucky Shamrock Cards that are made out of green patterned papers found in the Pebbles Basics and Garden Party collections. 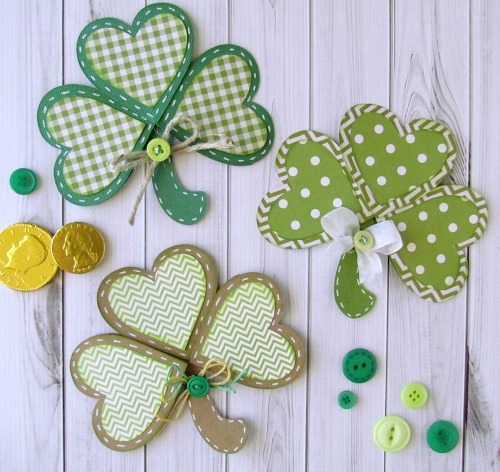 The Shamrock cards are cut from a Snapdragon Snippets Card Clover Tri-Fold cut file and embellished with buttons, cord, ribbon and different shades of green papers. 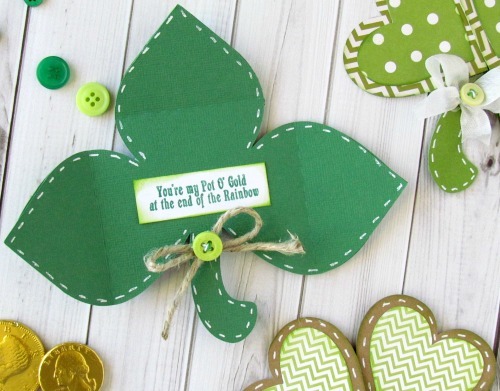 When the card is opened up, a lucky message awaits the recipient inside. 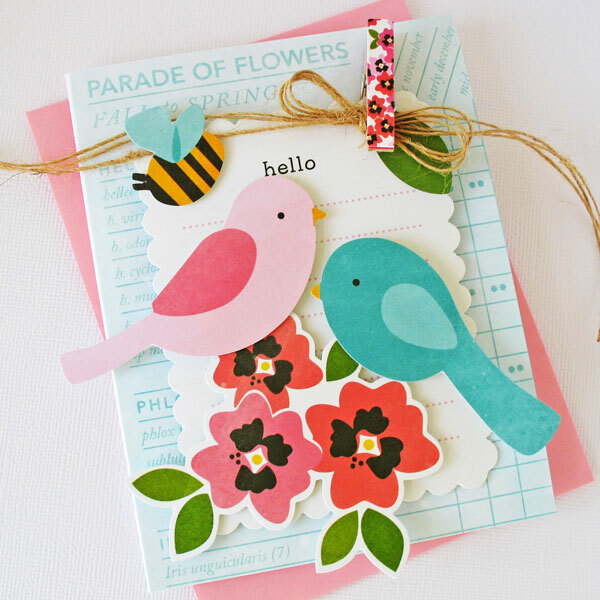 We’re sad to be closing out our week of projects featuring the Garden Party collection, but we’re excited to share the lovely handmade cards for spring created by Designer Laura Craigie. I don’t like to play favourites, but I have to admit that I just LOVE the Garden Party line so very much! 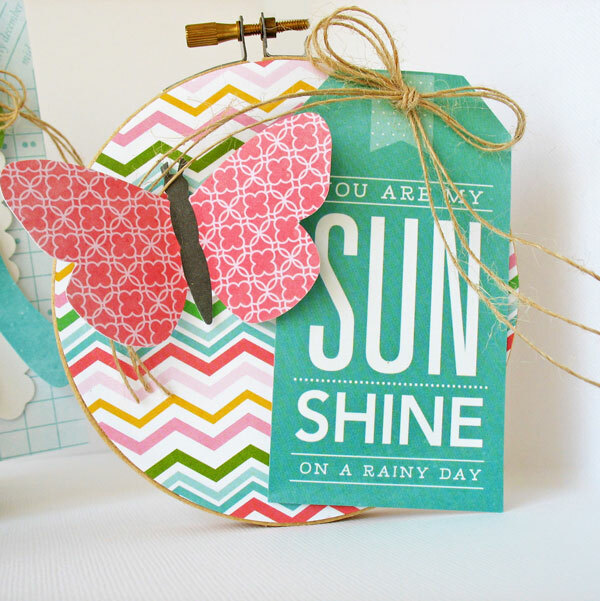 I am a sucker for bright and cheery, and this line fits the bill perfectly for that. 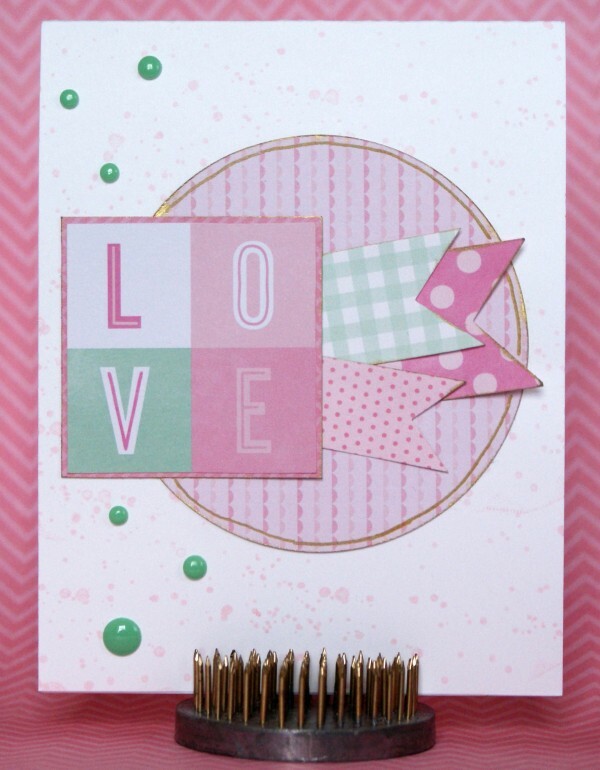 As soon as I had the supplies in my hands I started making a couple cards that I’m happy to share with you guys today. 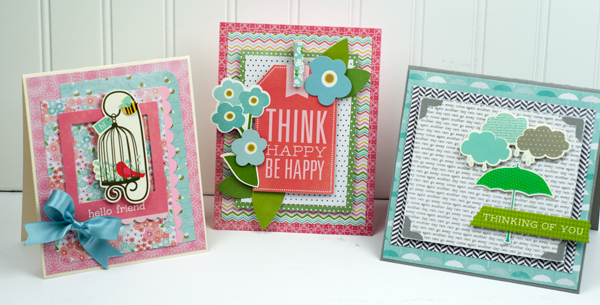 Being a card maker I can’t tell you how much I adore the 6×6 paper pads, the smaller print is just so perfect for cards. 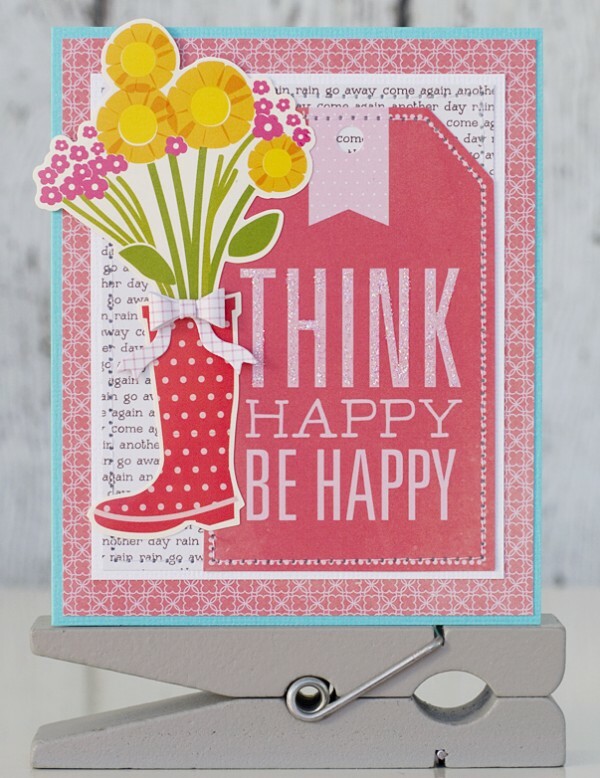 These cards came together quickly with the help of bold focal images like the beautiful flower die cuts on the first card, and the fabulous rain boot sticker on the other. I tend to stick with a simple formula when I make my cards, and I thought I’d share it with you today. I pick out 2-3 patterned papers, and adhere them to the background. 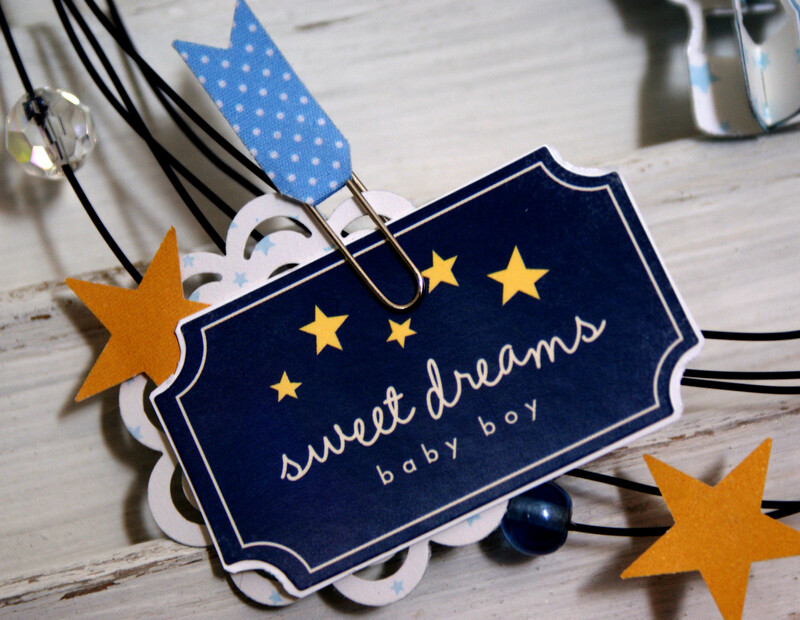 Next I choose a focal image, and a sentiment. Then my last step is always a finishing touch like glitter glue, buttons, or dots. 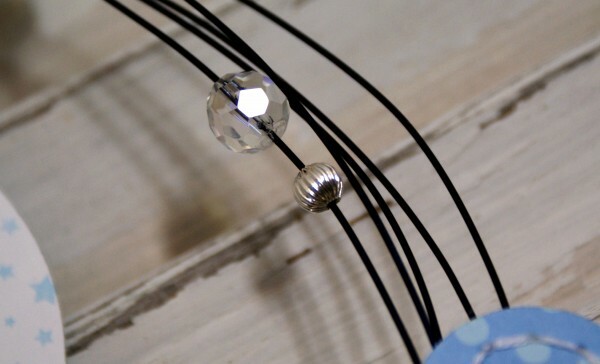 It’s never failed me and helps me create things faster with less worry about what I need next. 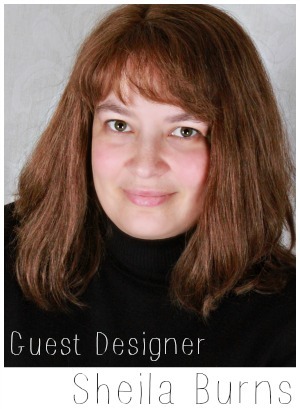 We’ve had such fun showcasing our design team member’s Garden Party collection “projects of choice” this week. 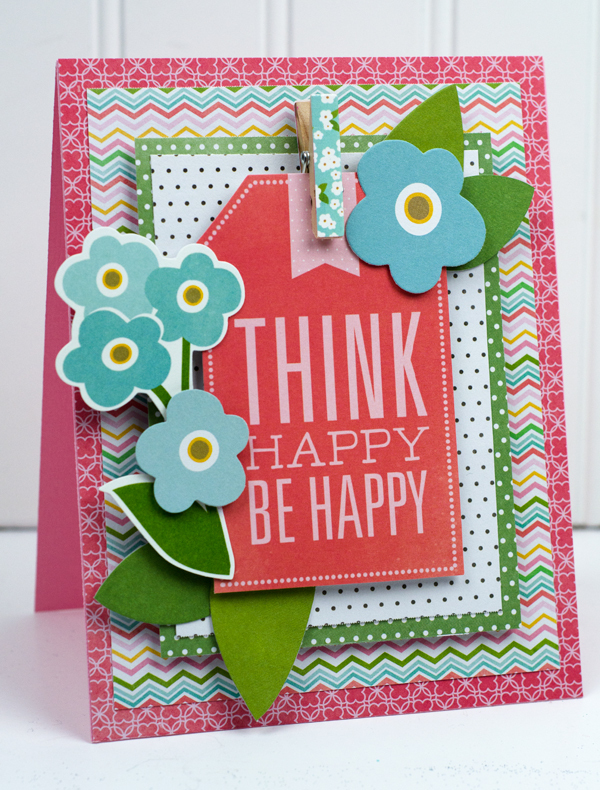 While you’re bound to see the collection featured in many more projects as we head into spring, we’re closing out the week dedicated to Garden Party with a fun selection of handmade cards from Designer Tiffany Hood. 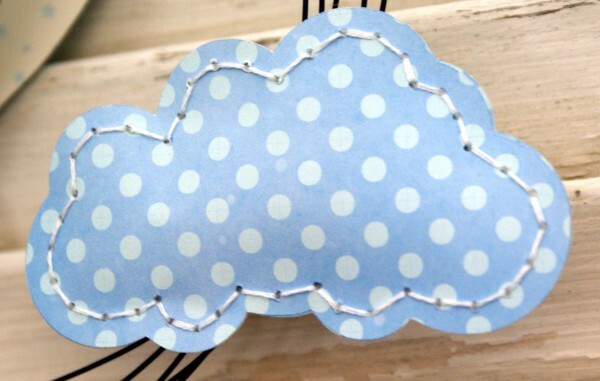 There’s nothing quite like a handmade card to make the day just a little bit brighter. 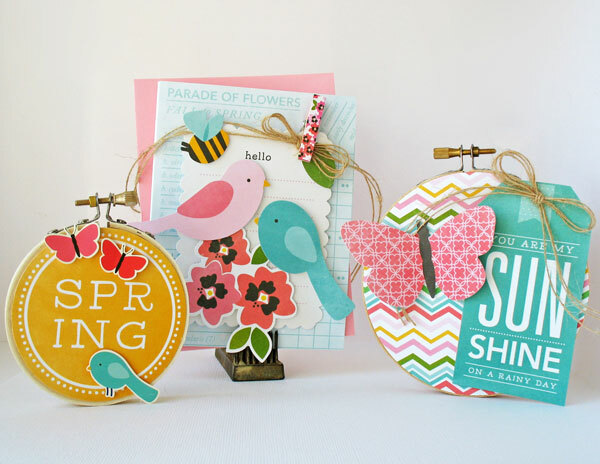 Here are four cheerful cards to brighten your spring day. 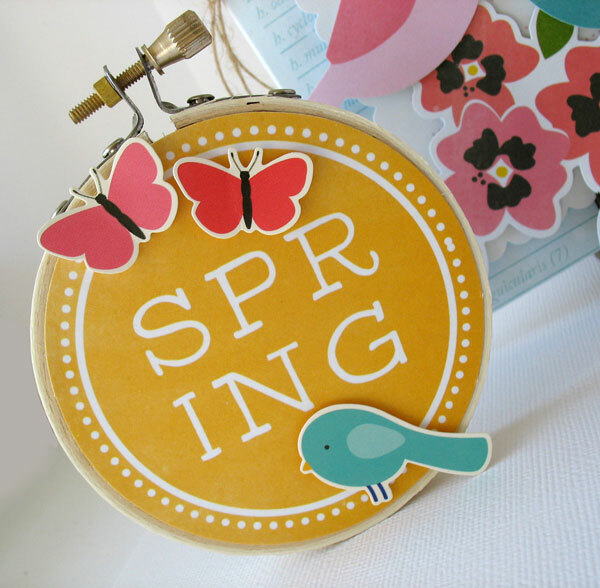 Spring is such a pick me up. 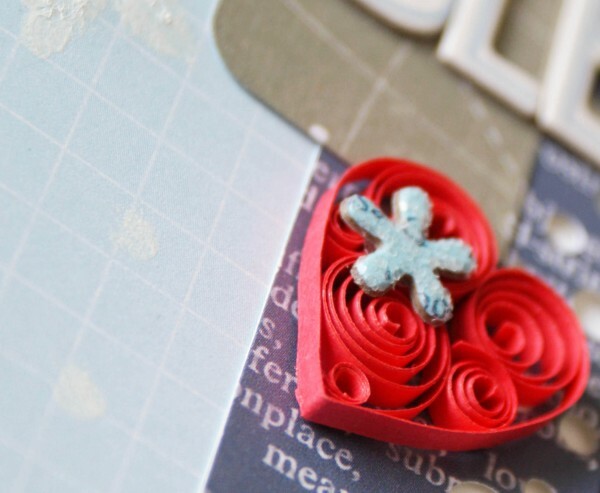 It’s the perfect time to send a little card to a friend for no reason at all. 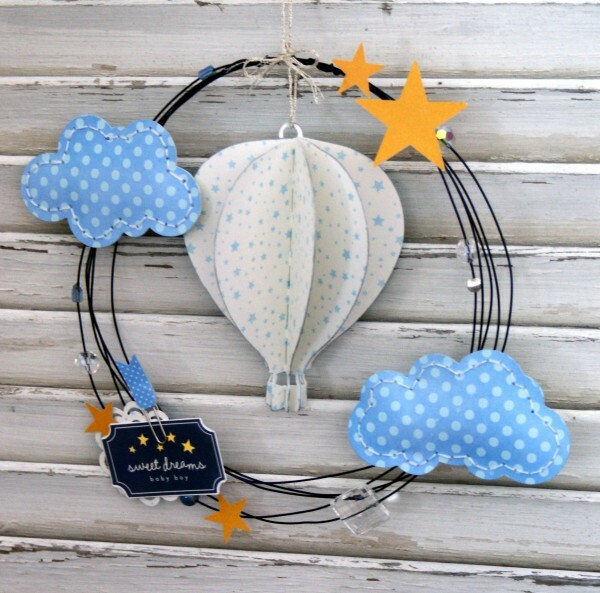 Today Designer Kathy Martin is showcasing a sweet little handmade gift for spring – mini hoop art – along with a coordinating card. You’re going to love it! Spring is my favorite season! After the long cold months have passed the earth comes alive again with the leaves returning. Every morning I enjoy waking to the sounds of birds…lots of birds chirping and courting one another. The days begin to warm lengthen allowing more time in the garden. 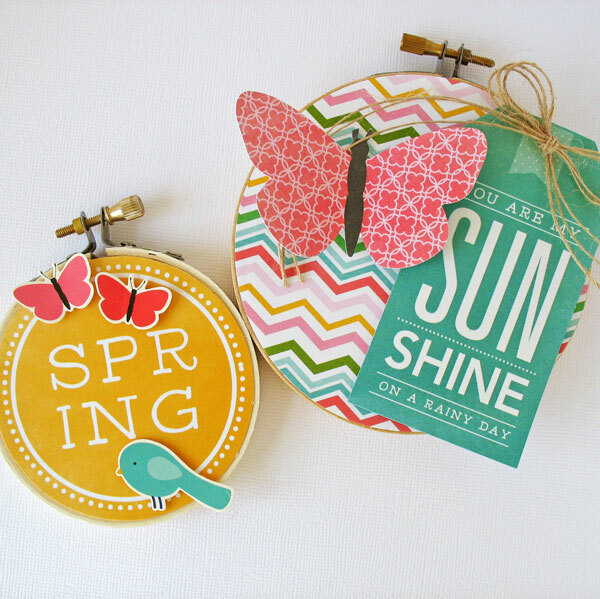 Garden Party captures all that I love about spring and with it I created these little hoop art accents that can be hung on a wall or set on a shelf…bring a little spring indoors.